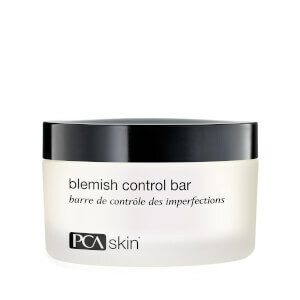 This cleansing treatment bar enhances and maintains the results of any PCA Skin pigment control regimen. The blend of Kojic and Azelaic Acids helps fight inflammation and inhibit other causes of hyperpigmentation, leading to an even, bright complexion. Moisten the enclosed sponge and create a creamy lather. Cleanse the affected area, allowing the lather to remain on the skin approximately two minutes. Rinse with warm water and pat dry. Follow with the appropriate PCA SKIN toner, treatment serums and broad spectrum SPF product in the daytime and moisturizer in the evening. Note: store sponge outside of container. Water/Aqua/Eau, Saponins, Glycerin, Vegetable Oil/Olus/Huile végétale, Sorbitol, Lecithin, Aloe Barbadensis Leaf Juice Powder, Kojic Acid, Azelaic Acid, Maltose, Glucosamine HCI, Tannic Acid, Hamamelis Virginiana (Witch Hazel) Water, Alcohol, Sodium Lactate, Niacinamide, Calcium Ascorbate, Aniba Rosaeodora (Rosewood) Wood Oil. I use this as my morning cleanser and simply follow the directions, the results have been spectacular for me. 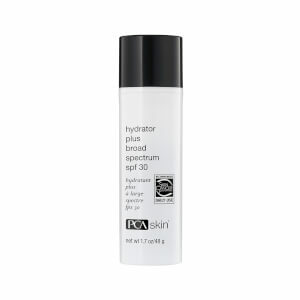 I started using it daily in September and ordered another one when Skinstore was having a PCA sale as this is so good I do not want to run out. My skin has not looked this good in many years. I use the Blemish Control bar in the evenings. The two of them have changed my skin for the better. Amazing products. I am happy with most PCA skin products. I have used. I am a licensed esthetician when I called PCA to order professional products the rep recommended this to me. I have been fighting hyper pigmentation due to an illness. When I first used this cleanser my pores were so opened my blackheads where easy to extract. I also have found PCA pigment gel works best for me. This is a really great cleanser. Not many ingredients, but the ones in there are really effective. It really helps with hyperpigmentation from melasma and sun damage. I use it twice a day even though the directions say 1 x.
I have brown spots (hyperpigmentation) on my face -- some larger spots on my forehead and chin line and some almost like freckles under my eyes. For a few weeks now, I have been using the pigment bar once a day followed by the PCA Pigment Gel. Already, I am noticing that certain of the larger spots are seemingly scabbing over and the dead skin is coming off with regular washing. Right now, these spots are not gone, but are much lighter. The freckled area has not changed. Nonetheless, something is happening -- and it seems positive! I am optimistic that these products are going to make a difference. Using of the Pigment Bar along with the Pigment Gel is pretty harsh, causing some stinging and redness. I might alternate use of the two - especially if you have sensitive skin. I am looking forward to seeing more positive progress as I continue to use these products over time. For two years I had uncontrollable cystic acne because of an ovarian cyst. After my hysterectomy, the acne disappeared but the scarring was severe. I've been using PCA's pigment bar for a year and have just started my third bar and my skin tone is more even. The scars have reduced so much that I can go without makeup to cover it. The smell is funky, but I got used to it because of the VISIBLE results. I also found that it controlled the occasional break. Highly recommend.